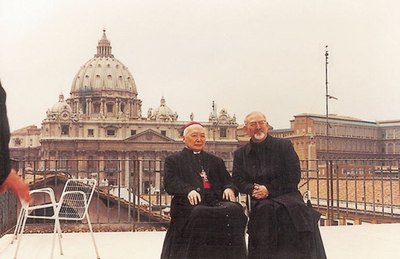 Cardinal Gong Pinmei at the Jesuit Curia in Rome, seated with Peter Hans Kolvenbach, SJ. Rome. B/W Photo.